Ports of the much anticipated ICS are popping up across xda-developers. However, the Sorrow owners were feeling a bit left out, particularly the X10 owners. 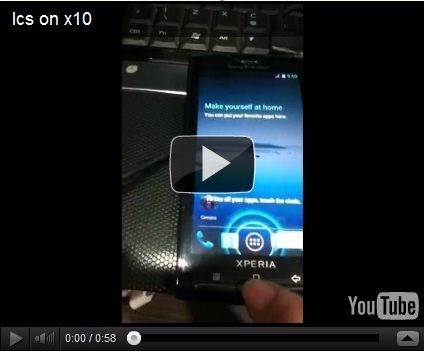 Well, if you were feeling a bit blue about this, worry no more because thanks to XDA member erenz1202 as well as several other devs, this OS was finally ported to the Xperia X10. Now, there are a few caveats like the fact that the touchscreen doesn’t work. You have to keep in mind that this is from the SDK and as such, the ports are less than perfect at this point in time. Once the real thing hits the streets, we will likely see far better development not just for the X10, but for every device out there. The dev has posted a video as proof that the OS actually boots well in the device. If you have an X10 and would like to lend a hand, please help the devs so that they can get this off the ground. Thanks sahibunlimited for the tip!